Coke Studio Pakistan has us Indians tap our feets to the tunes of the music composed by the impeccable musicians and singers of Pakistani origin. Yes, we are praising something that is Pakistani because it is worth it all. MTV Coke Studio brings a blend of traditional folk music and contemporary beats which result in a musical ensemble that is hard to not fall in love with. This has happened for Coke Studio India as well but the popularity and liking of the Pakistani version is way to much. The extent of such fondness is spread throughout India as well. So what is wrong with Coke Studio India that it is being surpassed by Coke Studio Pakistan, even in its own country by its own people? Let’s find out! Folk music in India is misinterpreted on so many levels. A song sung by Hard Kaur with a mix of rap is not Punjabi folk music. We are not tapping the right places in India for folk music and talented folk musicians and giving a new rather artificial face to folk music in India. Bollywood music is the most listened to music of India and since songs in Bollywood are made by the hour, there is just not enough space for endorsing folk music like the one played by Coke Studio Pakistan. Apart from a few Indian bands, there is no scope for folk music and musicians to grow. The monopoly of Bollywood over the music scene of India can be blamed for this. In India, musicians make music to earn money. This is why Pakistani singers who want to make more money and get rich move to India and enter Bollywood music scene. Folk music takes a lot of time to evolve. A single song might take a couple of months to be finally released whereas in Bollywood, a song can be made and recorded in just one hour. And to make things easier, the musician remakes an old song with a few extra beats and throws it into the music market of India. India too has a rich heritage of Sufism but to keep it safe and help it grow further is not a job done well by our musicians. This has been taken care of quite efficiently by the musicians of Pakistan. They have kept, not only Sufism, but all forms of classical, semi-classical and folk music alive by giving it the recognition it deserves. Even Rekha Bhardwaj has gone all out to say that Pakistan’s Coke Studio is way ahead than ours. This is what she stated, “They (Pakistani musicians) don’t kill their verses by sound and keep the essence of their songs alive. They bring their folk music and ghazals together and embellish it beautifully.” Coming from one of the greatest singers of our time, these words, however pinching for a radical patriot, are indeed quite true. 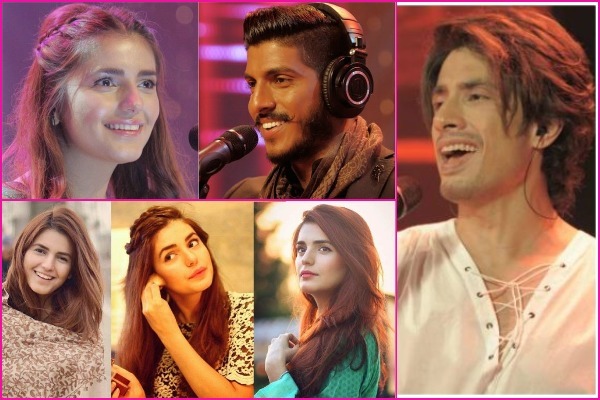 We just can’t have enough of Coke Studio Pakistan! Previous : Celebrities At Akash Ambani And Shloka Mehta’s Star-Studded Engagement Party!